This is a professional dual mini beam strip heater used for heating plastic sheets, such as acrylics, ABS, HIPS and foam boards prior to bending. 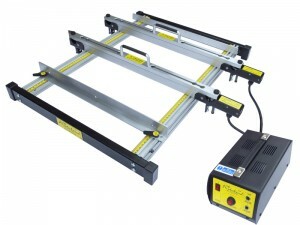 The dual system can simultaneously heat one sheet of plastic at two parallel points saving time on fabrication. We can supply either one (single beam) or two (dual beam, as shown) x 450mm heater beams which fit on a moveable carriage which is completely modular. 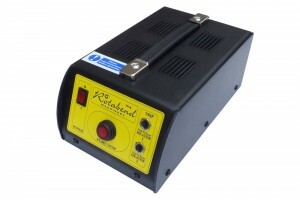 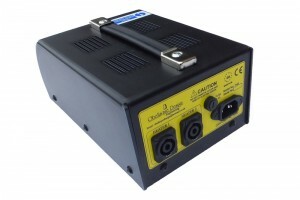 1 x dual output low voltage power supply unit capable of supplying 2 x 450mm beams. 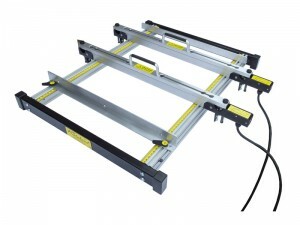 1 or 2 mini safety heating beams with clamp capable of heating sheets up to 450mm width (that’s A3 landscape or A2 portrait Size) in sheets up to 6mm thick. 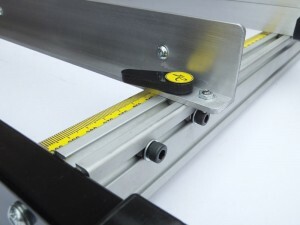 1 x 450mm or 2 x 450mm. Minimum distance between bends 32mm, maximum distance between bends 600mm.